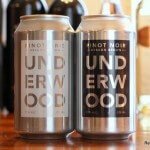 An unusual blend that’s unusually good. 66% Chenin Blanc and 34% Viognier from California. SRP of $10 and available at that price. Sample received courtesy the winery for review purposes. “For more than forty years, we’ve been making white wines that are the perfect match for the foods of the spectacular coast of California. 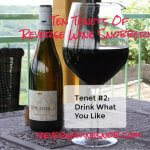 Twist open a bottle of Pepi and discover why this wine is an exceptional companion to salads, pasta and seafood. Our Chenin Blanc-Viognier is bursting with fresh fruit flavors and aromas of luscious peach and spiced pear. Today’s wine presents quite an interesting blend I don’t think I’ve ever seen before. 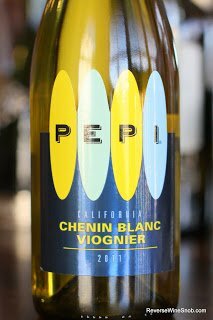 Being a fan of both Chenin Blanc and Viognier I was excited to give this wine from Pepi, a California producer of white wines for past several decades, a try. The 2011 Pepi Chenin Blanc Viognier begins with a pleasant aroma of tropical fruit (mango, guava, kiwi and banana) along with white peach, honeysuckle and a bit of almond. Tasting the wine reveals more tropical fruit, a nice level of sweetness and even a bit of spice. 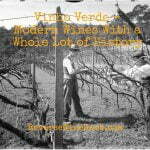 There’s also an underlying minerality that gives good contrast. 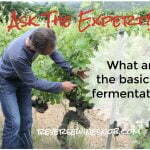 Add in nice mouthfeel and acidity and you’ve got a fresh, pleasant blend that is quite easy to drink. It finishes fresh and clean with tropical fruit soaked mineral notes that last a surprisingly long time.